A good model tonight – and a few drawings to show for it. The spotlighted study is one fifteen minute pose. Conté pencil heightened with conté crayon on toned pastel paper. 32.5 x 50 cm or 13 x 19 3/4 in. Here below are two four minute gesture studies. 35 x 50 cm. or 13 3/4 x 19 3/4 in. 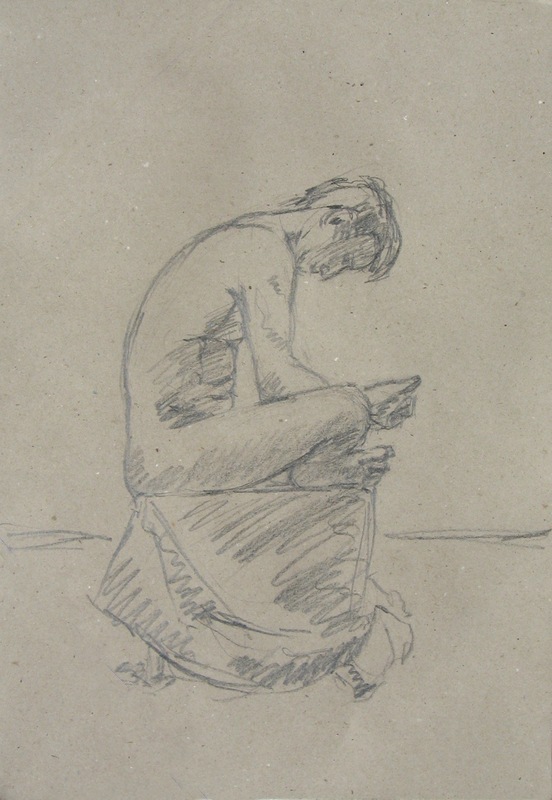 This entry was posted in Drawings, Figure Studies and tagged 15 minute figure study, figure drawing, figure drawing Bruges, figure studies on August 3, 2015 by ellentrezevant. 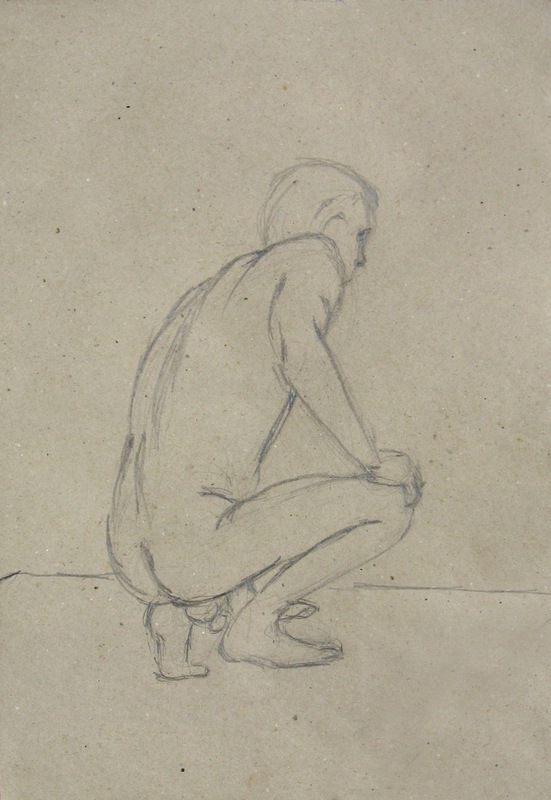 Figure study. July 2012. Pencil on toned drawing paper. 30 x 45 cm. or 11 3/4 x 17 3/4 inches. This entry was posted in Drawings, Figure Studies and tagged 15 minute figure study, figure drawing, figure studies, figure study on July 22, 2012 by ellentrezevant. Figure drawing. June 2012. Pencil on toned drawing paper. 30 x 45 cm. or 11 3/4 x 17 3/4 inches. This entry was posted in Drawings, Figure Studies and tagged 15 minute figure study, figure drawing on toned paper, figure studies on June 22, 2012 by ellentrezevant.